During 1934 the Dandré-Levitoff Russian Ballet toured Australia headed by Olga Spessiva, the renowned Russian ballerina. Molly Lake, an English dancer, was also on tour with the company. Lake was engaged by Anna Pavlova, touring the world between 1921 and 1926, then began dancing and teaching for Ninette de Valois and Marie Rambert. She had been a pupil of Enrico Cecchetti and was a founding committee member of the Cecchetti Society established by Cyril Beaumont in London, 1922. Wanda Edwards and Madam Lucie Saronova headed a small group of teachers who were initiating what was to become the Cecchetti Society of Australia. They wasted no time in organizing Molly Lake to conduct the first examinations to be run and approved by an international body in this country. In fact, they predated those of the Operatic Association (now known as The Royal Academy of Dance). As a result of the efforts of a small body of teachers in various States, the introduction of overseas examinations in dancing, such as have for many years been conducted in music, have been made practicable. The Cecchetti Society has arranged to hold examinations in Grade 1, 2 and 3 in November, and examiners holding the society’s certificate have been appointed by the council at the London headquarters of the society. Major examinations will follow in due course. To date it is a little unclear as to actually what happened first. Did the small band of teachers organize examinations to be conducted by Australian examiners appointed from London headquarters or upon discovering that Molly Lake was coming to Australia, use Lake to initiate Cecchetti examinations? Hopefully some of our UK research exponents, who have access to the archives of Cyril Beaumont in 1930s, may be able to assist here. What we can glimpse, thanks to research by Michelle Potter in her article The Dandré-Levitoff Russian Ballet 1934-1935; Australia and Beyond , is that when Lake left England on the 27 April, 1934 on tour with the company to Cape Town, knowledge of going further to Australia was unlikely. From Potter’s research, the company departed Surabaya 28 September on route to Australia, arriving in Brisbane on the 8th October 1934. This morning at Paling’s Buildings Miss Molly Lake of the Russian Ballet Company will conduct an examination of pupils in the Cecchetti method of dancing. This will be the first examination of its kind to be conducted in Australia. Australia is now beginning to fall in line with the practice adopted overseas of conducting examinations in the art of classical ballet. The first examinations in the famous Cecchetti method were held appropriately during the Australian tour of the Russian Ballet Company at the close of 1934, the examiner on this occasion being Miss Molly Lake, a member of that company and a direct pupil of the great Maestro Cecchetti himself. Examinations were conducted in Sydney, Melbourne, Adelaide and Perth. Candidates from the four states entered for the three children’s grades, as well as for elementary and intermediate, and the standard of work put forth was reported as being very satisfactory. Although no performances were given by the Russian Ballet Company in Adelaide, Miss Lake made a rushed visit to that city on her way to Perth for the purpose of examining students. Melbourne examinations occurred in December of 1934, as Lake was performing with Dandré-Levitoff Russian Ballet from the 1st – 31st of December and then onto further performances in Perth from the 8th – 19th January 1935. Madam Lucie Saronova (Hon. Organizer) an English dancer who held one of Maestro Enrico Cecchetti’s rare personal certificates, allowing her to pass on his method. Other English recipients included Margaret Craske, Mary Skeaping, Derra de Moroda and Ninette de Valois. Saronova and her husband Harry Jacobs settled in Melbourne, Australia in the 1920s after touring with Ada Reeve. Wanda Edwards (Hon. Secretary), a teacher of long standing in South Australia having purchased a school in 1919 where she taught what was then coined “fancy dancing” and ballroom and later included classical ballet, character and religious dance. She held a teachers certificate from the Ballroom Faculty of I.S.T.D and later studied the Cecchetti method with Margaret Craske in London, subsequently became a teacher and member of the Cecchetti Society. Vera van Rij (Hon. Treasurer– for a short time only), of Adelaide, a South African and former dancer with Pavlova’s Company. She settled in Australia after the 1929 tour. 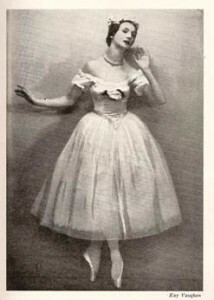 Later replaced by Claire Aytoun (committee member) who studied the Cecchetti method with Margaret Craske in London and then returned to teach in Melbourne. Sylvia Forrest – Committee member a graduate of Australian College of Physical Education (ACPE), Sydney, N.S.W 1923, where she studied the Cecchetti method (later a Vice Principal in the 1940s.) She had also studied with Bodenwieser overseas. She later attained Fellowship status in both the Ballroom and Greek dance faculties of I.S.T.D. Jocelyn Yeo – Committee member, dancer with Diaghilev’s Russian Ballet and also Anton Dolin’s company. She was a member of the Imperial Society of Teachers of Dancing and passed the Intermediate and Advanced examinations in classical ballet with Honours. Arriving from London circa 1934 she began teaching in NSW. But of all of her of her achievements (Forrest) she is most proud of her appointment as examining secretary for Australia in its classical ballet branch by the Imperial Society of Teachers of Dancing, a certificate that allows for the holding of examinations in children’s grades. She hopes to hold an examination in November, and it is the first time in Australia that such an examination has been contemplated, for it brings with it awards from the Imperial Society itself in London. Although we have several teachers who hold the society’s certificate, which is regarded among dancing teachers the world over as the “blue ribbon” among credentials, there is no definite link with the London headquarters. Miss Forrest hopes to discuss with the various holders of the certificates in Australia the formation of an Australian headquarters of the society to provide this link. Wanda Edwards and Sylvia Forrest may have crossed paths in London, early 1930. Both were exponents of fencing, Edwards then holding the British Association Fencing diploma. Forrest trained under Frank Stuart who founded the Australian College of Physical Education and later became one of the first women to gain the title Maitre d’Arms from the French Fencing Academy. Interestingly, Sievers, recorded as being on the inaugural Cecchetti Australian branch committee, staged a recital on August 16th, 1933 to raise funds for “the purpose of bringing to Australia an examiner from the Association of Operatic Dancing and the Imperial Society of Teachers of Dancing, London.” The Federal Association of Teachers of Dancing, which was founded as the NSW Dance Teachers Association in 1931, was affiliated to The Imperial Society of Teachers of Dancing. Plans for examinations seemed to have been well underway prior to 1934. Certainly by July 1934 an article in The Australian Women’s Weekly heralded the appointment of an overseas examiner under the auspices of the Association of Operatic Dancing (now R.A.D) to conduct examinations in Australia from June of 1935. There was great support from these early female Australian pioneers of classical ballet who had ventured and studied overseas, as well as from those who migrated to Australia, to ensure a high standard of dance education. All the above women were in many respects feminist icons. All had goal driven careers and chartered the development of young dancers through movement – be it “fancy dancing”, ballroom, character/folk or classical ballet. November 1934 presented an opportunistic time for those who had been planning stronger links and association with the major British dance organizations. These bodies had been founded to ensure qualified teachers of dancing and syllabi for both study and examination purposes. Molly Lake, herself a pioneer in the representation of classical theatrical dance teaching and education proved to be the opportunity that exponents of the Cecchetti method (embodied as a faculty of The Imperial Society of Teachers of Dancing) needed. After careful consideration the Cecchetti Council in London decided to appoint Australian examiners already certificated and trained in conducting examinations, for the children’s grades, and henceforth examinations will be held every year in this country. The examiners appointed were -: Madam Lucie Saronova; Miss Wanda Edwards; Miss Claire Aytoun and Miss Sylvia Forrest. A large audience gathered at the Theatre Royal last night to see some members of the Russian Ballet give a demonstration of the Cecchetti method of training. It was an unusual and valuable opportunity for the public to comprehend the steps on which the Russian technique is based. At the beginning M. Victor Dandre gave a short talk on Cecchetti and his career – how the famous Italian dancer went to the Imperial School of Ballet in Petrograd; how he trained there such magnificent dancers as Anna Pavlova, Tamara Karsavina and Vaslav Nijinski; how he went to London with the Diaghileff company, and founded a school; and how he spent his last years as a ballet master in Italy. All the dancers who appeared on the stage last night had received personal training from Cecchetti. While Algeranoff read the technical names of the various steps, these were demonstrated with charming grace by the corps de ballet. At the close, Mr Richard White, who had helped to organise the demonstration, cordially thanked the dancers. The members of the company at the Theatre Royal were augmented for the occasion by Miss Jocelyn Yeo, who had recently arrived from London to become Mr White’s assistant teacher. During 1935 the first examinations conducted by the Australian Panel were held in Melbourne with Wanda Edwards as the examiner. 2014 heralds eighty years of Cecchetti examinations in Australia. There are currently 17 active and 4 trainee examiners. Total examination entries numbered 4,806 in 2013, not including those of affiliated branches in New Zealand and Asia. Molly Lake as a dancer also received wonderful critiques whilst performing in Australia, such as that in The Sydney Morning Herald, Monday 12th Nov. 1934. For the first time during the season, the English dancer, Miss Molly Lake had a real opportunity as the Lilac Fairy, and she took advantage of it with exceedingly pleasant results. The lovely passages, like antiphonal music, in which three fairies and then a solo dancer swayed across the stage alternately in complicated figures, were interpreted with distinction. Molly Lake’s contribution to the legacy of Cecchetti in Australia is one of great importance indeed, along with the pioneering work of the founding committee and firstly appointed examiners in Australia. Spessiva, Lake, Pavlova, de Valois and Rambert all studied with Cecchetti. State Library of South Australia, pasted in a scrape book of Wanda Edwards, pge 89 and noted as appearing about September 5 or 6, 1934. Wanda Edwards gained membership certificate of the Cecchetti branch of I.S.T.D. in 1929. Margaret Abbie Denton, Joanne Priest: Her Place in Adelaide’s Dance History. Joanne Priest, June 1993, Adelaide, SA, pge 26. Anna Bemrose, Robert Helpmann – A Servant of Art, Queensland, University of Queensland Press, 2008; pge 25. Robert Helpmann studied with van Rij. “Miss Aytoun is a Licentiate of the Imperial Society of Teachers of Dancing, Cecchetti Branch, and a member of the Association of Revised Greek Dancing. She has spent the last four years in strenuous study with Miss Margaret Crakse, and when she returns to London early in the new -year she will face another year of advanced work. A daughter of a journalist well known in Victoria and WA, Mr. George Aytoun, who was one of the founders of the Australian Journalists’ Association, Miss Aytoun took up three other professions before turning to dancing, and not one of the things that they taught her has been wasted. After she left school she began kindergarten work, the she took up physical training and later massage. With all these things behind her, she is naturally interested in the remedial powers of ballet training, and she believes that the time will come when it will be widely used to correct defects of the body.” The Australian Woman’s Weekly, Saturday 29 December, 1934, pge 25 in Interested in a New Side of Ballet Work. Http:/trove.nla.gov.au/ndp/del/article/47231184 (sourced 18/10/11). The first Cecchetti examinations, conducted by an Australian examiner in N.S.W were conducted at the Swords Club, Hunter Street. Sandra Collier, in PACE, Semester 1, 2007, pgs 8-9 (Australian College of Physical Education) informs: “The Swords Club and the ACPE were interchangeable and shared staff, principal and students as well as premises. They were registered together in 1919 and from 1917 operated in association.” “A typical day at the College in 1925 involved physical training, practical work, lectures and fencing. The practical work included ballroom dancing, Cecchetti ballet, Greek Dancing, folk dancing, gymnastics, beam work, vaulting, jiu jitsu, swimming, tennis, hockey, netball, basketball, cricket, archery and many more sports’. The spelling of Sievers/Seivers varies. In an email from the Librarian ISTD Headquarters – Miss Gwen Seivers is recorded in the ISTD Journal V 7 No 4 Dec 1935 as being on the Australian overseas branch committee. In Hollingshed (1987) the committee name is recorded as M.G. Sievers. Various advertisements in the 40s have Miss M.G. Sievers MRAD MISTD, teaching at 25 Rowe Street, Sydney, where the first New South Wales Cecchetti organizer, Miss Estelle Anderson, had her studio. I believe Gwen/Gertrude/ M. G. Sievers to be the same person. Louise Lightfoot also had classes with Sievers. Still researching Sievers – any information greatly appreciated. Hollingshed (1987), p126 – the names of committee members are also recorded here. “Miss Jocelyn Yeo, soloist from the Diaghileff Russian Ballet, arrived in Sydney last week … Miss Yeo was also with the famous Anton Dolin Company, and is a fully accredited teacher of the Cecchetti method of classical ballet. She is a member of the Imperial Society of Teachers of Dancing, London and passed the Intermediate and Advanced examinations in classical ballet with honors.” Http://nla.gov.au/ndp/del/article/ 47215373, The Australian Women’s Weekly, Saturday 3 November, 1934, pge 31. 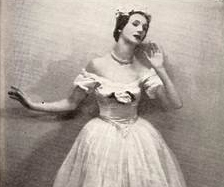 The Australian dancer Anna de Cardi is related to Miss Yeo. Http://nlagov.au/nla.new-article 51387312 – The Australian Women’s Weekly, 29 July, 1933, pge 16. Hollingshed (1987), p.129. Also refer Alan Brissenden and Keith Glennon, Australia Dances:Creating Australian Dance 1945-1965, South Australia, Wakefield Press, 2010.